(check out their Facebook page here). 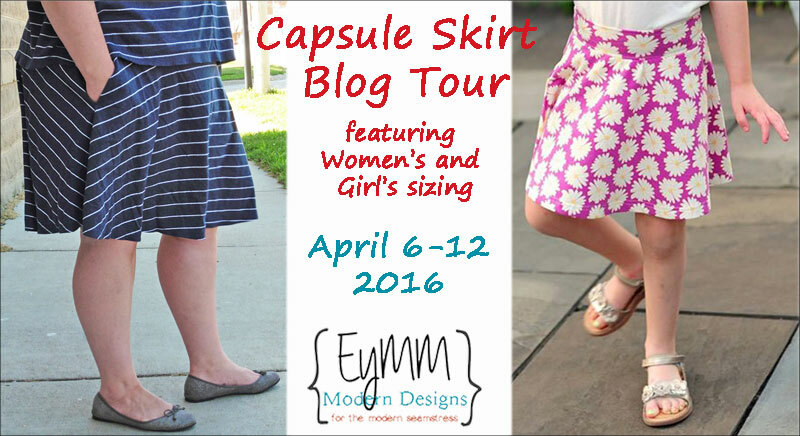 I love sewing with EYMM patterns and was so excited to be included in this current tour. The Capsule Skirt is the first EYMM pattern I made last year when I was fortunate enough to be included as one of the pattern testers. 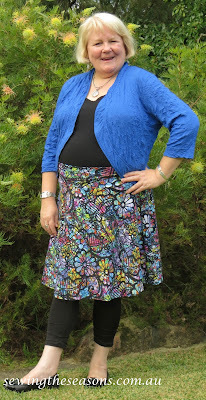 Kymmy's patterns are so clearly written, easy to print off, and her instructions, diagrams and pictures make sewing a breeze. If you are new to knit sewing I would recommend this pattern as one to try, I can't see how one could fail. I had recently purchased this glorious fabric from Smoogie Fabric and Design but wasn't sure whether to use it for the EYMM Active Wear Leggings or the Capsule Skirt....as you can see the skirt won! So many colours mean so many options of what to wear with this one. 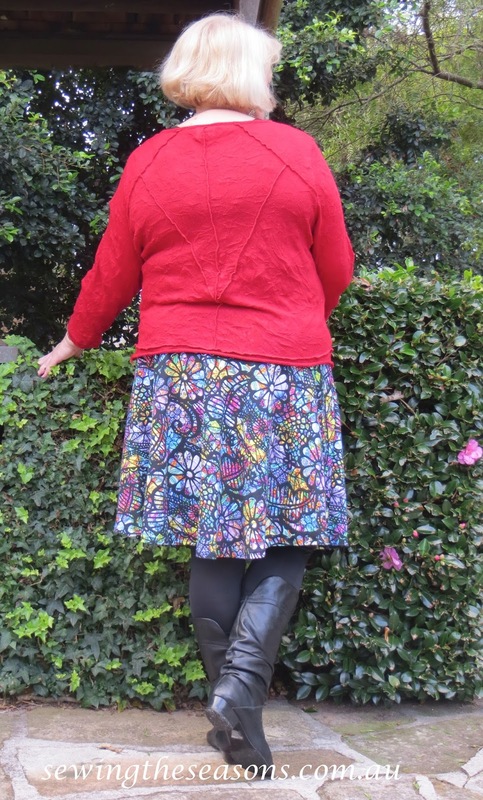 maternity option & varying hem line for fuller figures all clearly given in the pattern instructions. from cutting to sewing time - under an hour! 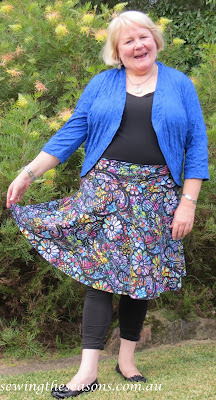 As we head into Autumn (Fall) down here in Australia, I am planning several more Capsule Skirts as they work so well with leggings or boots, a truly versatile item to take me through the various seasons. 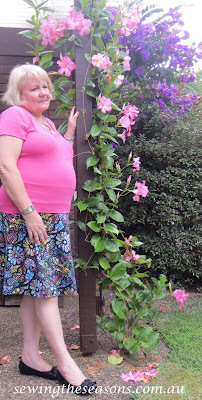 Here's some amazing other blogs to check out, I love being part of a blog tour and discovering not only other blogs but seeing the finished items from round the world. Don't forget to pick up your copy of the pattern†while it's on sale! †Use coupon code PERFECTSKIRT to save 25% on the Women's Capsule Skirt, Girl's Capsule Skirt, or Capsule Skirt Bundle until April 12 at 11:59pm PST. Oh my goodness - what fabulous photos! This company was extremely professional and built my dream website for me. I would definitely recommend this Websites That Sell Company to all my friends and business associates. Thank you for dealing with a unique and detailed individual. Called Home Appliance Doctor for my broken refrigerator. Technician, Ivan quickly came out and diagnosed the problem and fixed it in 15 min. super quick service, reasonable prices and super friendly customer service and technician. I will definitely be using Home Appliance Doctor again at www.homeappliancedoctor.com.au….